What does Dion mean, details, origin, short & easy attributes? Dion pronunciation in 20 different native languages. The name Dion is an English baby name. In English the meaning of the name Dion is: From the Latin Dionysos or Dionysus, referring to the Greek god of wine. Dion is baby boy name mainly popular in Christian religion and its main origin is . Dion name meanings is Of Zeus. People search this name as Dionte, Diona. Other similar sounding names can be Deion, Deon. You probably have google this question: My baby name is Dion and how can I combine the name Dion with other names and create unique & new name? We tried to suggest Dion name combinations. You can see how it looks the name Dion as first name or Dion as last name. You can combine the middle name for Dion and create a unique name. Popular personalities with Dion Name. Dion DiMucci is a rock music, doo-wop, blue-eyed soul, rhythm, blues, and blues rock singing and songwriter. He plays Human voice, Guitar, C. F. Martin & Company, and Fender Telecaster. He was most active from 1957 to present. 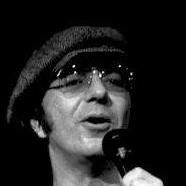 Dion was given the name Dion Francis DiMucci on July 18th, 1939 in The Bronx, New York, United States. Dion is also known as Dion. 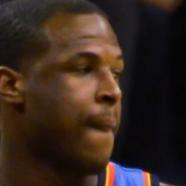 Dion Waiters is a basketball player for the Oklahoma City Thunder and Cleveland Cavaliers in the National Basketball Association. His ongoing career started in 2012. Dion was born on December 10th, 1991 in Philadelphia. Dion Jordan is a football player for the Miami Dolphins. Dion was born on March 5th, 1990 in San Francisco. Dion is also known as 95. 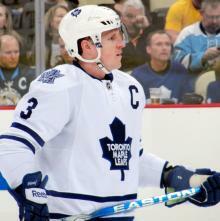 Dion Phaneuf is a hockey player for the Ottawa Senators in the National Hockey League. His ongoing career started in 2005. Dion was born on April 10th, 1985 in Edmonton. Dion Dublin is a soccer player for the Norwich City F.C., Cambridge United F.C., Barnet F.C., Manchester United F.C., Coventry City F.C., Aston Villa F.C., Millwall F.C., Leicester City F.C., Celtic F.C., and England national football team. Dion was born on April 22nd, 1969 in Leicester, England. 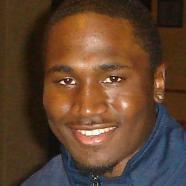 Dion Lewis is a football player. He was most active from 2011 to present. Dion was born on September 27th, 1990 in Albany, New York. She holds the title Where Does My Heart Beat Now", Falling into You", Call the Man", I Don't Know", and On ne change pas". She was most prominent from 1980 to 2000. Celine was given the name Celine Marie Claudette Dion by her parent Therese Dion on March 30th, 1968 in Charlemagne, Quebec, Canada. 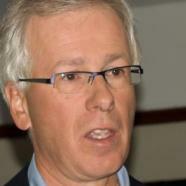 Stephane Dion is a Leader of the Liberal Party, Leader of the Opposition, Leader of theLiberal Party, Minister of the Environment, Minister of Intergovernmental Affairs, President of the Privy Council, Minister of Foreign Affairs (Canada), Leader of the Official Opposition . He was most active from 2015 to 2008. Stephane was born on September 28th, 1955 in Quebec City, Quebec, Canada. Therese Dion is a television personality. Therese was given the name Therese Tanguay on March 20th, 1927 in Mont-Albert, Quebec. Mark was born on August 28th, 1961 in New Bedford, Massachusetts, U.S.
Leopold was born in 1921. Leopold is also known as Monster of Pont-Rouge and Monster ofPont-Rouge. He passed away in 1972. Olivier Dion is a pop music singing, television presenter, and model (people). He plays Bass guitar and Vocals. His most notable accomplishments were from 2012 to present. 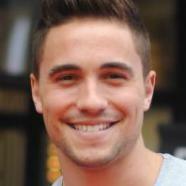 Olivier was born on August 10th, 1991 in Quebec.